In the internet age buying prescription glasses online is a reality. Glasses are an important part in the life of millions of people. Our eyes are submitted to great effort due to new life habits and daily work. We are at least 6 hours a day in front of mobile phone and computer screens. For this reason, new generations start to suffer many visual deficiencies early, associated to technology use. Due to this, the use of glasses is each time more usual. In Optical H we provide you prescription glasses online at best price. We have created an easy purchase process, and also we have the widest catalogue of glasses from the best brands. Prescription glasses for men, women and children. 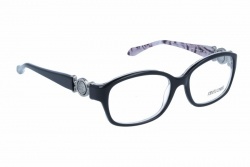 In our web you will find prescription glasses for women, men and children. 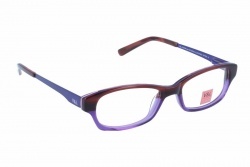 Take a look at our wide catalogue and see all glasses models available. 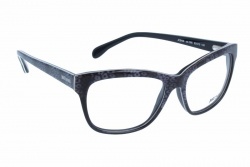 In women’s glasses we can emphasize models with bold shapes, as the ones with cat eye shape. You can find them in brands as Carolina Herrera, Chanel, Dior, Dolce Gabbana, Tom Ford, among others. 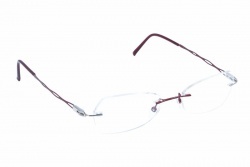 Rimless or semi rimless frames are another great option to find a comfortable product. These glasses are very light and comfortable, perfect to use them for many hours. 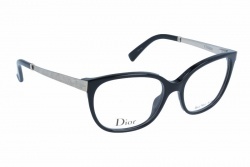 In this kind of prescription glasses we can emphasize brands as Silhouette, Oxibis, Ana Hickmann, among others. 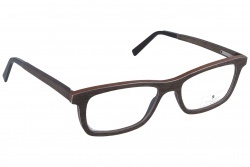 Prescription glasses for men always have more traditional designs. In the last years the brands have been introducing new models and bolder colours. 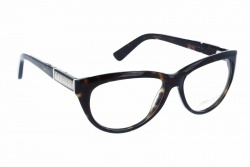 We can see acetate frames with double bridge or combinations of acetate and metal in the frames. 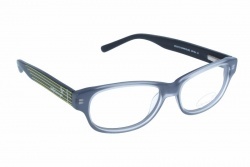 Also, metallic frames or semi rimless frames are super light and comfortable. Prescription glasses from Ray Ban stand out for its classic models, as the aviator, wayfarer, among others. 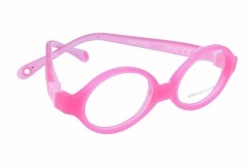 We also have a wide offer in eyeglasses for children. Very flexible silicone glasses, perfect for kids between 0 and 12 years. 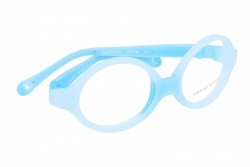 Furthermore, we have many models of traditional glasses in kids’ size. When we choose eyeglasses online we are always trying to decide between the one that we like the most and the best for its material and shape. 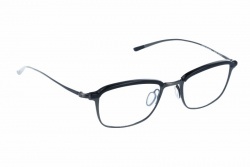 Eyeglasses can be divided in three groups: acetate, metallic and rimless and half-rim glasses. Plastic glasses are the most popular, inside this range there are different types of this material. Not all plastic frames are equal in their material; the best ones are made of acetate. This material is a natural resin, very resistant and lasting. 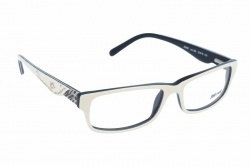 In metallic eyeglasses we can find a great number of models and shapes both for men and women. In the last two years aviator and round eyeglasses have become popular. You can find them in golden, silver or lead tones. 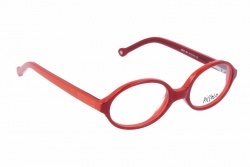 Half-rim glasses are very comfortable for its lightness. 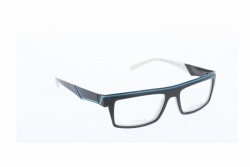 They can be combined with the frame colour and the modern design of their lenses. Prescription sunglasses are the best option to protect our eyes all the time. For most people intense solar light is very annoying, we blink more and our eyes start to tear up. Without glasses this light gets to our retina and, if we are not protected, it can be damaged. In fact, it can lead to retinal degeneration and irreversible loss of vision. Prescription sunglasses offer 100% UV protection; also, they allow the best vision. Furthermore, you can make prescription polarized glasses, that removes all light reflects above horizontal surfaces. They are perfect to drive because they remove the annoying sensation of sun glares, allowing great comfort and rest for the eyes. Organic lenses are light and resistant against falls. Nowadays the 98% of eyeglasses have this kind of lenses. For prescription sport glasses it is recommended to use polycarbonate lenses, since they ensure that the eye is not damaged in case of lenses breakage. Unlike organic lenses, mineral are heavier and less resistant against falls and blows. Anyhow, they have the advantage of being more resistant to scratches. Each time the optic technology is more advanced, and there are more treatments for lenses that can add extra properties to your eyeglasses. All of them are aimed to achieve a better result in aesthetics and visual quality. The anti-reflecting treatment is the most usual among optic lenses, its principal function is removing any kind of reflects present in the lenses surface. They also offer another benefits as solar protection and protection against blue light from electronic screens. The Optifog treatment is another great option to avoid the presence of fog in the lenses. They are recommended for sport glasses or people who work in places where there exist changes of temperature, as kitchens or refrigerated zones. 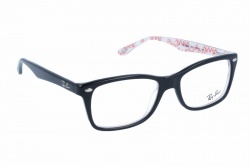 Which are the best eyeglasses? This is a question that many people ask when buying prescription glasses. From our experience we can ensure that the best eyeglasses are those who are made with resistant materials. For example the ones that are made of acetate, titanium, aluminium, nylon fibre, among others. Also, lightness is a key point, since you are going to wear them for many hours and comfort is essential. It is recommended to choose a model that adapts perfectly to your nose and face width. If you are looking for resistant and long lasting glasses, you must choose glasses made with the materials mentioned before. Myopia: This visual problem affects those people who have far vision problems, easy to correct using prescription glasses. Hyperopia: It is very common in both children and adults, provoking bad near vision. In the kid’s case it normally corrects by itself when the parameters are low. Astigmatism: It is a cornea defect that makes its surface irregular. It must be corrected with prescription glasses that compensate that irregularity. Astigmatism affects for far and near vision. 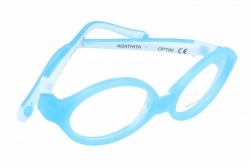 In OpticalH we have many deals in glasses during all the year. Now you can buy your prescription glasses online and pay just one lens. You can take benefit from this offer both in eyeglasses and prescription sunglasses. With our wide catalogue we can offer the best price of the market. We have both cheap brands of the best quality and the best brands of the market, as Chanel, Ray ban, Dior, Epos, Dolce Gabbana, Persol, among others. Thanks to our high sales volume we can adjust our prices so our customers can buy their eyeglasses online at best price. In OpticalH we have created an easy purchase process for you. In this way, in a few steps you can purchase your eyeglasses. It is as easy as choose your perfect glasses, click in the “Buy glasses+lenses” option, and our assistant will guide you to introduce your parameters and choose the type of lenses. In 10 days you will receive your glasses.